Sweet Years, the famous brand from Milan I have already told you about, is back on this fashion blog with its beachwear collection. It's the second time around for Sweet Years with beachwear and I have been pleasantly struck with the collection that, for 2017, is called Sweet&Surf. Trendy, fun, statement pieces, just like this bikini with stripes and lemons - the sweet summer one - that reminds me of a Capri and Amalfi Coast summer, and you know how much I love those places. This lovely bikini is coming with me in my well deserved days on the beach, with its retro vibes, as you can see from my pics, taken with my iPhone during my everyday beach life. Besides the swimsuit, Sweet Years beachwear also features other pieces, like the maxi t-shirt you see me wearing, fresh and carefree. Sweet Years, il famoso brand milanese del quale vi ho già parlato, torna su questo fashion blog con la sua collezione beachwear. E' il secondo anno per Sweet Years beachwear e io sono rimasta piacevolmente colpita dalla collezione che per il 2017 si chiama Sweet&Surf. Capi trendy, divertenti, particolari, come il bikini con righe e limoni - il sweet summer - che ricorda un'estate a Capri e Costiera Amalfitana, luoghi che, come sapete, amo molto. Questo graziosissimo bikini mi sta accompagnando nelle mie meritate pause in spiaggia, col suo gusto un po' retrò, come potete vedere da queste foto scattate con il mio iPhone nel corso di una mia giornata tipo al mare. Oltre al costume, la linea beachwear di Sweet Years comprende anche dei comodi copricostume come la maxi maglia che indosso, fresca e sbarazzina. Always following the "good living" motto, the brand with the heart logo confirms its love for easy, casual style with a strong personality also for swimsuits and beach attire. Swimsuits for women, tanks or maxi tees to be worn over the bikinis, and also beachwear for men and for kids: Sweet Years beachwear collection for Summer 2017 didn't disappoint me at all both for design and quality and I am looking forward to what's next for this italian brand. You can browse the collection on Official Sweet Years website and also follow the brand on Facebook and Instagram. You see, bandeau style is my favorite kind of bikini, what is yours? Have you been to the beach or are you still waiting to go? Sempre seguendo il motto del "good living", il brand con il logo a cuore conferma il suo amore per lo stile easy casual con una forte personalità anche per costumi e abbigliamento mare. Costumi per donna, canotte o maxi magliette da indossare sul bikini, e anche beachwear per uomo e bambini: la collezione mare Sweet Years per l'estate 2017 non mi ha affatto delusa sia come disegni che come qualità e e non vedo l'ora di scoprire cosa bolle in pentola ancora per questo marchio italiano. Potete sfogliare la collezione sul Sito Ufficiale Sweet Years e anche seguire il brand su Facebook e Instagram. Vedete, quello a fascia è il mio tipo preferito di bikini, qual è il vostro? Siete già stati al mare o state ancora aspettando di andarci? Its a very lovely 2 piece and you wear it well Vale! Sei in gran forma Vale! Che bella la stampa di questo bikini! Adoro la stampa di questo bikini Vale!!! e tu sei in splendida forma! Un bacione Bellissima! I like this style too. The print is so fun! Lucky you have still have summer around as weather here has been miserable :p enjoy! Lindo biquini amei, obrigado pela visita. Such a cute suit. Looks great on you! 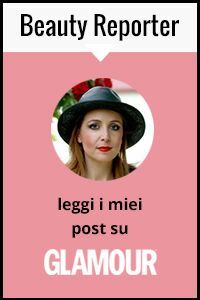 Vale il costume che hai scelto è troppo carino poi bellissime le foto sul pattino! Si intona! Oh my gosh, that suit is SO CUTE. I just love it! Thank you for the impressions. You look absolutely stunning! Love the entire look!